LED Cheese Fondue Forks light up your night. 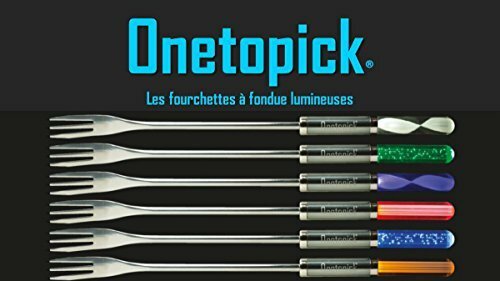 Set of six fondue forks in different colors and patterns. Great when it is hard to see in the dark and sets the mood for a party! The batteries are replaceable. If you have any questions about this product by di Potter, contact us by completing and submitting the form below. If you are looking for a specif part number, please include it with your message.